Are you looking for the best Roomba but you’re torn in between the Roomba 960 and 980? We have stripped down the two vacuum cleaners highlighting the significant differences and what cleaning task each one of them is best suited for. Just for the record, the Roomba 960 and 980 were the best Roombas in the market, but iRobot gave us a shocker with the release of the Roomba i7 and i7+. That’s a story for another day but if you want to know more, see our Roomba 980 vs. i7+ comparison review. For today, let’s look at the two Roomba 900 Series robots and find out what’s the best choice. We’ll start by having a glimpse of both models, and in the second section, we have a face to face comparison of all the features that matter. Roomba 960 vs. 980: Who’s the Winner? If you don’t want to gamble with any vacuum cleaner other than the very best, the 980 is the winner of this epic battle. Even though the Roomba 960 has some impressive features, the older brother, Roomba 980 packs a few extras that bring the difference. Most importantly, it has improved performance, and in particular, it cleans carpets exceptionally! 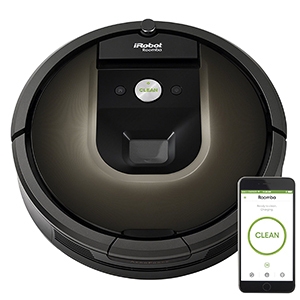 If you have shopped around, you understand that Roomba 980 is the other latest model from iRobot apart from the newest releases iRobot Roomba E series and I series. The Roomba 980 boasts all the features inherent in the Roomba 960. But unlike the Roomba 960, it packs a more powerful motor, longer battery runtime, and most notably, a dedicated mode for carpets. Lastly, it has an extra Virtual Walls barrier for containing it where necessary. One thing I like about the 900 series is the VSLAM navigation that uses a real-time camera to scan and map your floors efficiently. The result is faster and entire level cleaning and intelligent navigation in general. Even though it is one of the most expensive models, there is a lot any homeowner will desire in the Roomba 980. The Roomba 980 is among the best models I have come across. Though it is quite expensive, the extras it offers are worth the extra bucks. If you are looking for all-around cleaning, then this is your match. It is also a great deal for a large apartment courtesy of the longer runtime plus auto-resume and the smart scanning and mapping. Maybe the new Roomba i7+ would match its performance now that the new model has an automatic bin emptying mechanism. But Roomba 980 still has the upper hand courtesy of Carpet Boost, longer runtime among others. Here is our comprehensive review of the Roomba 980 vs. i7+ and our recommendation. As mentioned earlier, this is the base model of the Roomba 900 series. It comes with many of the standard features the Roomba 980 has but lacks a Gen 3 motor and carpet boost. More so, the 75 minutes runtime is shorter than the 120 minutes Roomba 980 offers. But on the brighter side, it is a much cheaper model than the 980 and a clever choice if you don’t have high pile carpets. 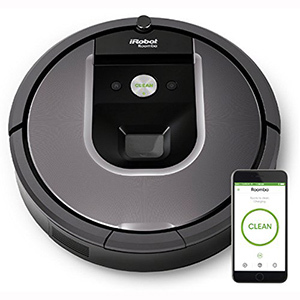 The most important thing is that Roomba 960 uses the VSLAM navigation that combines sensors and an onboard camera, HEPA filters, Dirt Detect Series II, Virtual Walls, and auto resume. Yes, you get all these at the reduced cost. The Roomba 960 is an excellent choice if you are looking for value for money. It costs lesser than Roomba 980 and comes with the important features that matter save for Carpet Boost. Otherwise, all the other features are intact and even though it has the shorter runtime, the auto-resume feature covers for this flaw. Overall, the Roomba 960 is an excellent choice as long as you don’t have carpets. We’ve now come to the second and most important segment of this Roomba 980 vs. 960 comparison review. Here, our focus will majorly be on the fundamentals that you need to consider when buying or choosing a robot vacuum. Many people ignore the design and aesthetics of a robot vacuum, but it’s a really important aspect to consider. Aesthetics may not have a direct impact on the cleaning performance of a vacuum. However, the design aspect has a direct impact. For example, a D-shaped vacuum has better wall and edge cleaning that a round shape vacuum. Roomba 980 has a round shape design. At the top of the interface, there is a camera for capturing the significant landmarks in your house including sofas, walls, doorways and so on. There’s also an easy to carry handle for lifting it up when manually taking it to the charging base or lifting it to empty the bin or carry out any other maintenance. Regarding aesthetics, Roomba 980 is quite similar to the Roomba 960 only that it has a different finish. Perhaps the only notable difference is the color schemes. The Roomba 960 owes much of its design to the Roomba 980, or whichever came first. The buttons and UI is the same as the 980 as well as the onboard camera. At the center, the large CLEAN button starts a cleaning cycle manually while the small button with the HOME icon can take the Roomba back to its base. The finishing is quite different with the Roomba 960 adopting a silver finish on grey. On the edges, there are the traditional Roomba bumpers that retract when it hits an obstacle during cleaning. Even though most of the size and dimensions aspects don’t directly influence cleaning performance, they are still worthy considerations. The weight of the vacuum has an impact on runtime with lighter vacuums requiring lesser torque and consequently, lesser power. 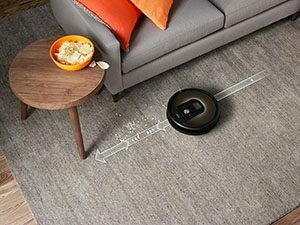 On the other hand, a slim vacuum will creep under furniture easily without getting stuck, so the dimensions also determine where your Roomba reaches. Roomba 980 is such a compact robot vacuum compared to D7 Connected. It has a 13.8-inch diameter and stands at 3.6-inches high. But there’s still room for improvement now that there are much shorter robot vacuums. Regarding weight, the Roomba 980 measured 8.7 lbs. on our scale. The Roomba 960 has the same design and size as the Roomba 980. It stands at 3.6-inches and has a 13.8-inches diameter. We also weighed it, and it was a little bit lighter at 8.5lbs. But this is a negligible difference. Robot vacuums are highly specialized, and while one model may be good for hard floors, maybe it’s not suitable for carpets or pet hair. So, make sure to check what the robot vacuum has been designed for. Roomba 980 is the best all-round vacuum. It does exceptionally well on all surfaces including hard floors, low pile carpets, and even the high pile shags and rugs courtesy of Carpet Boost. The carpet specialty makes it particularly great for pet hairs that stick on carpets. It also has HEPA filters for allergy sufferers. Roomba 960 is best of hard floors like hardwood, tile, linoleum, and vinyl. It is also suitable for low pile to medium pile carpets, but on heavy shag, it gets overwhelmed. For pet owners, it is also an ideal solution as it packs quite some considerable vacuum power and HEPA filters. The Roomba 960 and 980 both excelled on hard floors. The two picked up all the kinds of dirt we threw on their way from the large debris like cereal to the small dirt like flour, rice, and sugar. Pet hair, skin flakes, and dander were also collected thoroughly. Here is how the Roomba 960 and 980 performed. Low pile carpets are also an easy task for the Roomba 900 Series. The base model delivers 1000 Pa which is enough for collecting all the dirt that is often loosely floating on the fabric. Here is the performance of the two vacs on low pile carpets. This is where the Roomba 980 dominates over his small brother. The Carpet Boost function steps up suction power to over 1700Pa grabbing all kinds of dirt from the deep carpet pile. The 1000 Pa Roomba 960 delivers is not enough to pick up small dirt particles like flour from the deep pile. One of the most fundamental aspects that determine a vacuum’s performance is the suction power. This is one of the areas where the Roomba 980 differs from the Roomba 960. Roomba 980 boasts a brushless Generation 3 motor that runs on two speeds. There’s the normal mode that delivers 1,000Pa and a Turbo mode called Carpet Boost where the suction is stepped up to 1,700Pa for deep cleaning carpets. Roomba 960 comes with a Generation 2 motor that delivers 1,000 Pa of suction. The motor is single-speed and precisely what the Roomba 890 uses. While this power may not be sufficient for vacuuming high pile carpets, rugs and shag, we like the quiet operation. If you have pets, you understand the problem of allergens found in the Feld1 protein in cat and dog saliva. A remedy to these allergens, including the bad odor from flakes and urine is HEPA filters. But there are two types; HEPA and HEPA-style filters. The former are 99.97% efficient while the latter may be anywhere between 85% and 90%. The Roomba 980 also has AeroForce filtration system making it also ideal for homes with pets and allergy sufferers. Roomba 960 comes with the AeroForce filtration system that uses true-HEPA filters. If you have pets or you suffer from allergies, the Roomba 960 is an excellent choice. At the bottom of the robot vacuum, there’s the cleaning head which is responsible for scrubbing and picking up dirt from the floor. There are two important features to look at when comparing the cleaning heads of Roomba 960 and 980; head adjustment and brushroll. Roomba 980 also uses the same brush system and has a side brush as well. But the Roomba 980’s brushroll performs much better on carpets. This is not because it’s in any way better than the Roomba 960’s brush. The advantage of Roomba 980 is the high suction power that enhances the agitation of the dirt. Roomba 960 comes with a self-adjusting cleaning head that detects the kind of surface it’s on. This is one of the critical features to look out for when you have high pile carpets and shags. A primary brush extends from one end to the other. The Roomba 960 uses a dual multisurface rubber extractor which makes it ideal for pet hair as it doesn’t tangle. Also, rubber extractors are more durable. Among Roomba’s unique innovations is Dirt Detect. This is a feature that scouts for places where there is concentrated dirt and dashes there to clean. The Roomba 980 also has the same Series II Dirt Detect system that finds dirt and automatically switches it to Spot mode until all the dirt is cleared. Roomba 960 has Dirt Detect Series II that uses optical and acoustic sensors to detect where there is dirt. The Roomba then goes to that spot and switches to Spot mode. Older models have Series I which uses acoustic sensors only making them less efficient. The autonomy of a robot vacuum is an important aspect that you should consider when buying a robot vacuum. You want to know how long they can run, the charging time, and so on. Roomba 980 boasts a larger 3000mAh battery that delivers 90 minutes runtime when in Carpet Boost mode and around 120 – 130 minutes in normal mode. Recharging is automatic, and after fully getting juiced up, the Roomba 980 continues with the cleaning task at hand. But how I wish it had a quick charge feature instead of charging for the entire 3 hours. Roomba 960 packs a powerful 2130mAh battery that can push it for 75 minutes on average. But we noted a slight fluctuation on carpets where it did 68 minutes. It recharges and resumes cleaning automatically, but you will have to wait for the entire 3 hours. The battery should last you for 18-24 months before needing a replacement. Robot vacuums work independently courtesy of an elaborate navigation system, and so does the Roomba 960 and 980. Floor mapping is also essential as it determines the efficiency of the vacuum cleaner, especially in large apartments. So, how does the Roomba 960 and 980 compare as far as navigation and mapping are concerned? Roomba 980 also have the iAdapt 2.,0 VSLAM navigation and mapping system. 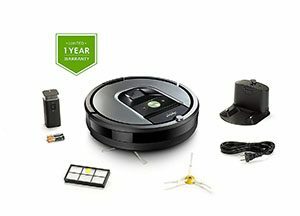 There’s nothing extra the pricey 980 has as far as navigation is concerned so if your main goal is buying a Roomba for high-traffic rooms, you are better with the Roomba 960 as it’s cheaper. If you want the best navigation, then the Roomba i7 and i7+ might be what you are looking for. The two come with iRobot’s latest iAdapt 3.0. The new system has a unique floor mapping and scanning technology called Imprint Smart Mapping. 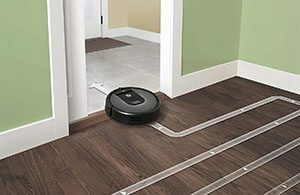 With this new addition, you can tell the Roomba which rooms to clean and which ones to skip. The advantage with Roomba 980 is that it comes with two Virtual Walls nodes. Roomba 960 is the base version but still packs the iAdapt 2.0 navigation system. This one uses sensors and a camera for enhanced navigation accuracy in high traffic rooms. The data from the sensors is combined with that from the camera images to predict the location of the vacuum in the house correctly. iRobot confirmed that the iAdapt 2.0 navigation captures and stores the images of major landmarks. When it comes to floor mapping, the same VSLAM navigation is used, and the result is fast cleaning with no spots missed at all. Lastly, the Roomba 960 works with Virtual Walls but comes with only one node. Everyone wants a smart appliance that they can operate remotely or via other smart gadgets. But to have all these conveniences, a robot vacuum should have Wi-Fi. Roomba 980 also comes with 2.4GHz Wi-Fi and supports iRobot HOME app operation, Alexa, Assistant, Homekit and several other integrations. While it may pass as a similar robot to Roomba 960, the Roomba 980 has extra features on the app including advanced cleaning settings. This model also supports wireless updates. Roomba 960 has been built with 2.4GHz Wi-Fi compatibility that supports the Smartphone app operation as well as voice assistants like Amazon Alexa, Google Assistant, Apple’s Homekit, among others. Among the notable app features include CleanMap reports. Wireless updates are also available for the Roomba 960. 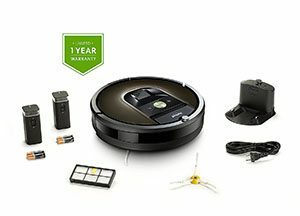 What accessories does the Roomba 980 come with? One of the advantages of the Roomba 980 is that it comes with extra accessories. Let’s find out what accessories these are. Integrated charging base – This is the second most important accessory after the main unit. It comes with a base unit and a charging cord that will recharge the Roomba once the power levels get critical. One noteworthy feature is that once the Roomba recharges, it goes back to finish the cleaning from wherever it left. Side brush – This brush system is found under the Roomba and rotates at high speeds cleaning the dirt on the Roomba’s path. The Roomba 980 comes with an extra pair for your first replacement. HEPA filters – This is what powers the AeroForce filtration system, and unlike the previous Aerovac filtration system, this one uses true HEPA filters. There is also an extra HEPA filter included for your first replacement. Virtual Walls nodes – You understand that Roomba’s boundary marking is based on Virtual Walls. One advantage of Roomba 980 is that it has two Virtual Walls nodes included while the rest of the Roombas come with one. An extra node might cost you around $45. What accessories does the Roomba 960 come with? It’s all out there that the Roomba 960 has fewer accessories than Roomba 980. Let’s see what it offers and what will require more investment. Charging base – This is the same charging base that comes with the Roomba 980. Everything is pretty the same including the auto-resume function that sends the Roomba back to cleaning after recharging. The only problem is that it will run for a shorter time before needing more juice. Side brush – This vacuum is also equipped with a spinning side brush that complements the action of the primary roll brush. It sweeps the paths around the Roomba sending the dirt toward the main brush for agitation. An extra side brush is included in the Roomba 960. 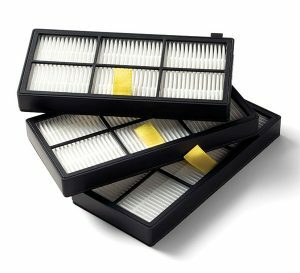 HEPA filter – Roomba 960 also uses a HEPA filter so if you have nasal allergies triggered by dust mites and pet dander, this one will work. It also comes with an extra filter for your first replacement. Virtual Walls nodes – This is where the Roomba 960 is downplayed now that it has only one Virtual Walls node. Remember, to get the most out of Roomba’s boundary marking you need at least two nodes, so that’s an extra $45 required. A good robot vacuum should be easy and straightforward to use. But is there a difference in usability between the Roomba 980 and 960? Is the Roomba 980 easy to use? This is among the easiest robot vacuums to use. It has been designed in a user-friendly interface with straightforward buttons. Once you receive it, there are no major set-up requirements. Unbox, charge it, and voila, it’s ready to use. Roomba 980 can be easily programmed to clean once daily, for the entire week. But the best part about this Roomba’s usability is the Smart connectivity. You can control it from your Smartphone App courtesy of the 2.4 GHz Wi-Fi compatibility. With this model, you get Clean Map reports that tell you where the Roomba cleaned and Advanced Cleaning Settings in the iRobot HOME App. 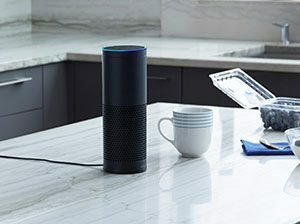 Other compatible platforms include Alexa, Google Assistant, IFTTT among others. Is the Roomba 960 easy to use? Just like the older brother, Roomba 960 is also easy to use. Unfortunately, it does not offer some few extras the Roomba 980 entices with. Roomba 960 can also be programmed through the entire week using the Schedule feature. It is also compatible with Wi-Fi for Smartphone operation as well as the rest of the integrations. 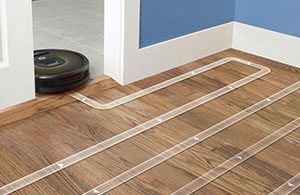 This model will also tell you where the Roomba passed using Clean Maps, but it doesn’t have the advanced cleaning settings. This means you won’t be able to customize the number of clean passes as well as a host of other advanced settings. But I hope Roomba will fix this in the promised Wireless updates. The Roomba 960 is quite similar to Roomba 980 as it cleans using the same AeroForce 3-stage cleaning system. The steps are followed to the latter here; sweeping, agitation and vacuuming. It also packs a dual multisurface brush roll and spinning side brushes to ensure comprehensive cleaning. One of the major differences is the type of motor with this vacuum having the old Gen 2 motor that Roomba 800 series have. The old motor means that runtime is greatly reduced to 75 minutes up from 120 minutes. But fortunately, it can resume cleaning after recharging, so you don’t have to worry about coming home to a halfway cleaned house. This vacuum also employs a camera in the new iAdapt2.0 navigation just like Roomba 980. This dramatically improves navigation and ensures methodical cleaning patterns. Basically, it uses memory mapping and camera to identify the major landmarks just like Roomba 980. Roombas use a 3-stage cleaning system, and this one is no exception. The 3 stages in the AeroForce cleaning system are sweeping, agitation and lastly, suctioning. What I like is the advanced dual multisurface brush system that does a great job agitating dirt. This is compared to the older bristle brush system that often got tangled. There are also spinning side brushes that sweep the path where the Roomba is passing. Regarding vacuum power, the Roomba 980 has an improved motor design compared to what you will find in Roomba 960 which uses the same motor just like the Roomba 800 Series. Besides the high suction power this motor delivers, the Roomba 980 has a longer runtime courtesy of a larger capacity battery. Regarding floor coverage, Roomba 980 has Dirt Detect Series II that will detect the dirt on the floor. To ensure it covers the entire floor area, and faster, it comes with iAdapt 2.0 which cleans in a definite pattern as opposed to random cleaning. Also, it has been equipped with additional sensors on the rear to keep it aware of the surroundings. 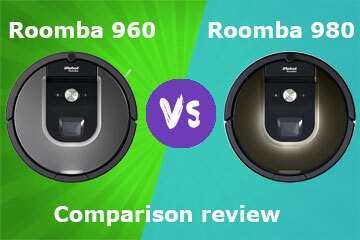 There you have it folks, a Roomba 960 vs 980 comparison review. Indeed, the Roomba 980 proves that it’s worth the extra bucks. But still, the Roomba 960 is a force to reckon especially of you don’t have carpets. It’s major shortcoming is the lack of Carpet Boost which you obviously don’t need. What’s your favorite? Talk to us in the comments section! The iLIFE V3s Robotic Vacuum Cleaner for Pet Hair - Should I buy it or Not? 🥇 What's the Best Roomba for Pet Hair?